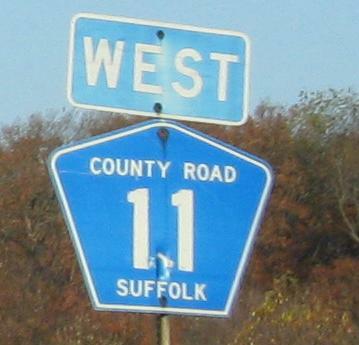 Woodbury Rd. 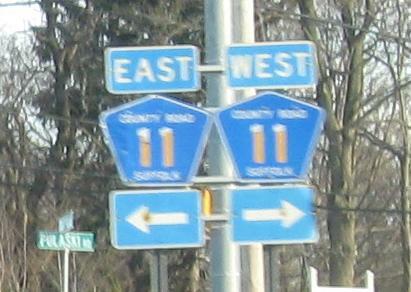 EB at the beginning of both routes, courtesy Doug Kerr. 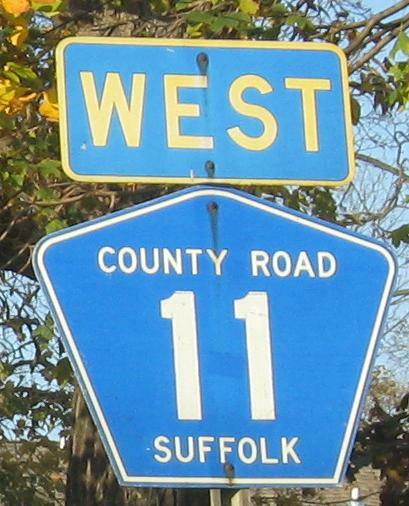 This is Suffolk County's old style, before they decided they had County Routes instead of Roads, and before they realized every other state puts the word "COUNTY" on bottom and the county name on top. 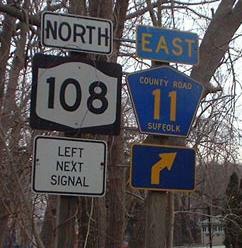 WB heading toward NY 108, followed by the shield atop this page. These shields are all officially outdated. CR 35, Park Ave., SB. 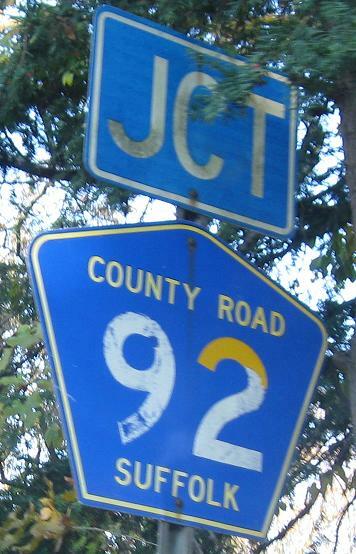 Going straight takes you to NY 231.